Add delicious smoky flavor to your smoked meats with these Smokehouse Wood Chips. Thoroughly dried, with all tree bark removed. Precision ground for even, consistent burn. 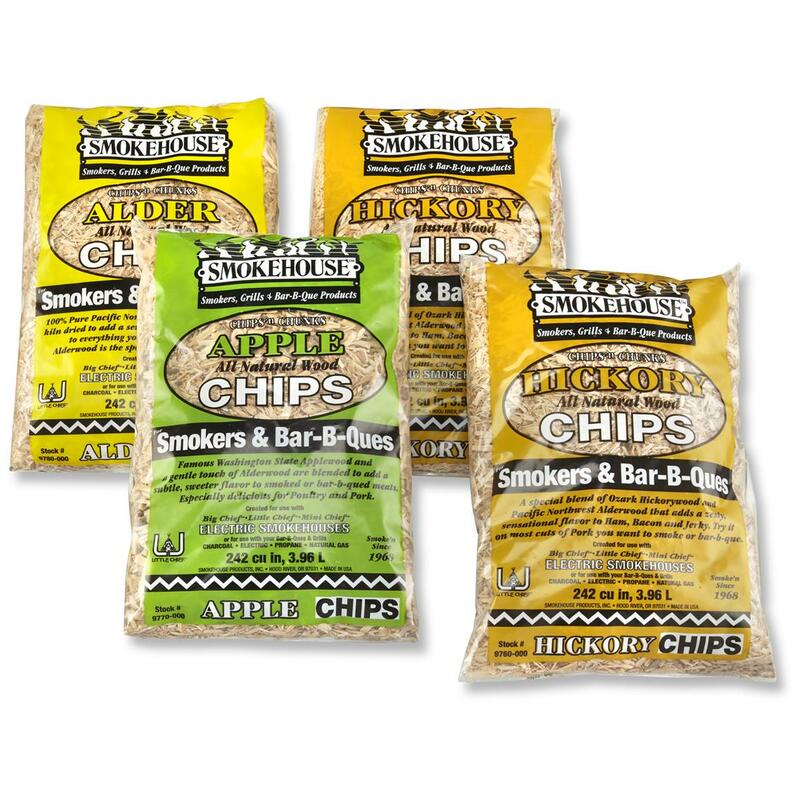 Smokehouse Wood Chips, Variety, 4 Pack is rated 5.0 out of 5 by 3. Rated 5 out of 5 by marca from Good product Wood chips burn well in my new smoker. Rated 5 out of 5 by jeffo59 from The best ! Great when used in Littttle Chief smokers. Topnotch protection your gear deserves. Fits kettle barbecues up to 26"w.
Fits smokers up to 20"w. x 36"h.
Topnotch protection your smoker deserves.